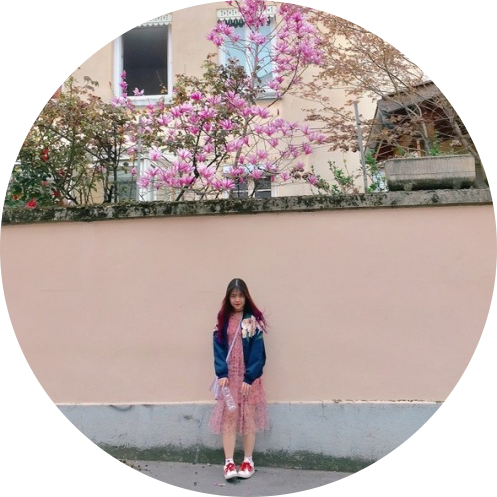 I thought it was pretty silly to put “self” under the featuring section because of course my “self” would be featured otherwise why would I even be writing this? Anyway, yes! Day two! 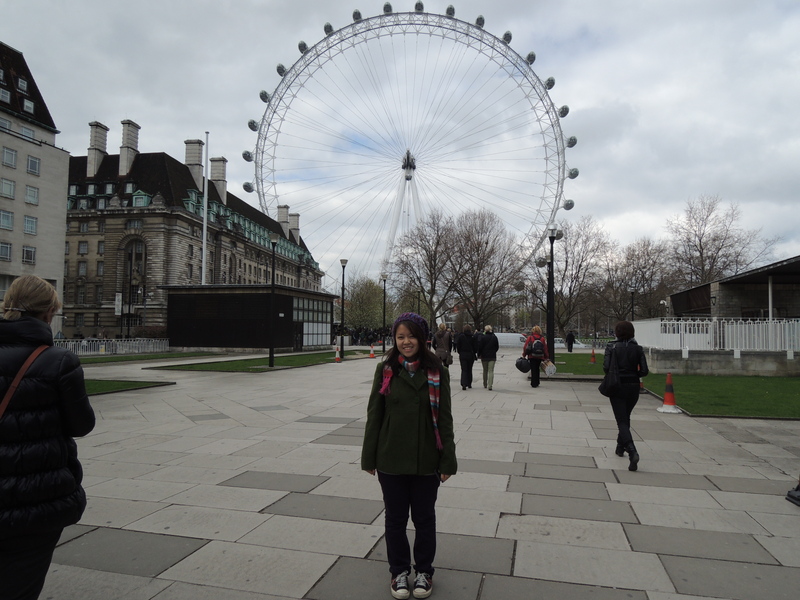 The day Michelle takes London! By storm! Literally because it started hailing halfway through today’s London tour. Just kidding, I would never do that to you Londoners. I mean, it did hail. Just that it wasn’t my doing. Okay. I woke up at 7AM this morning because 1) I slept really early the previous night and 2) it was already really bright by 7AM. 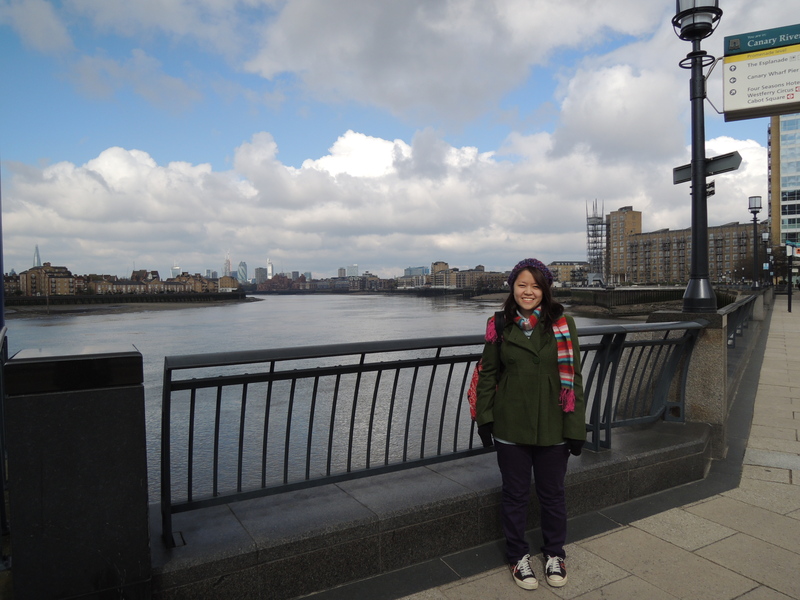 I woke up, had homemade sandwich breakfast, cried a bit at the weather (SEVEN DEGREES), changed into multiple layers and then went out to explore London with Aunty and Uncle Ooi and Kenzie. In the car, we passed by the O2 arena and the Olympic stadium. 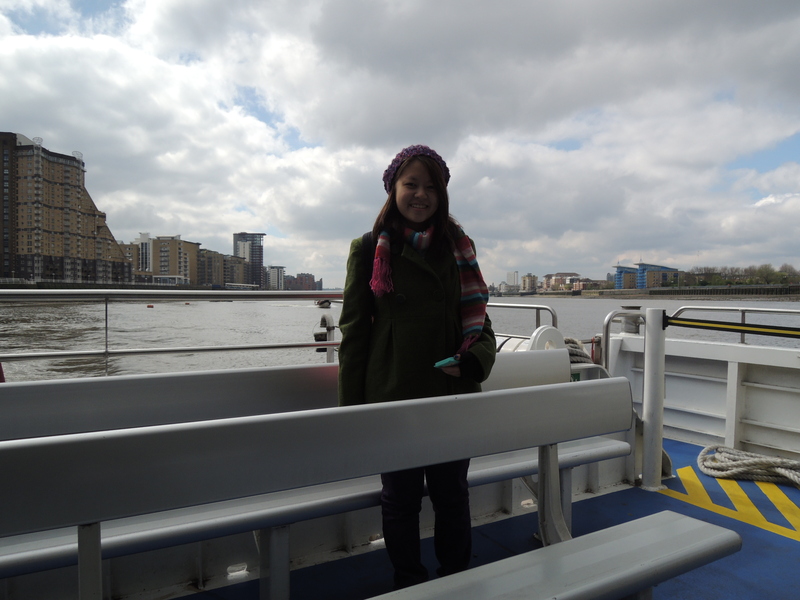 Our first stop was Canary Wharf at East London and we boarded a ferry on River Thames to Central London. 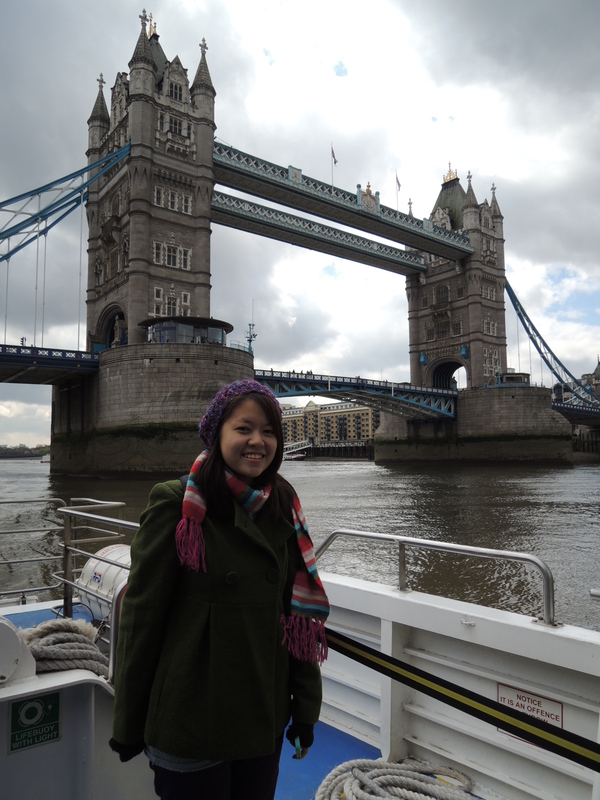 On the ferry, we managed to catch glimpses of The Shard, Tower Bridge, London Bridge and many other really beautiful English buildings. 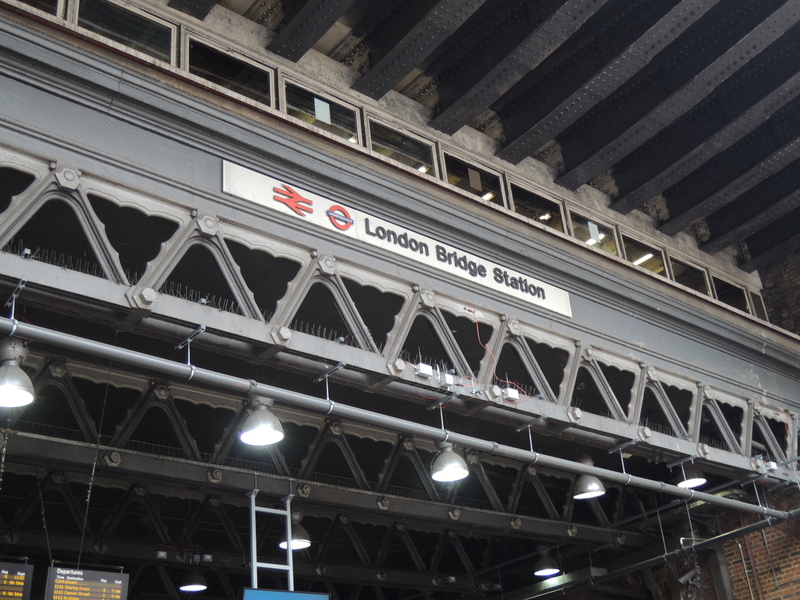 Also, I was enlightened about the wrong assumption that Tower Bridge was London Bridge because London Bridge was actually quite bland and well, unattractive so perhaps Fergie wasn’t quite accurate when she sang about that bridge. 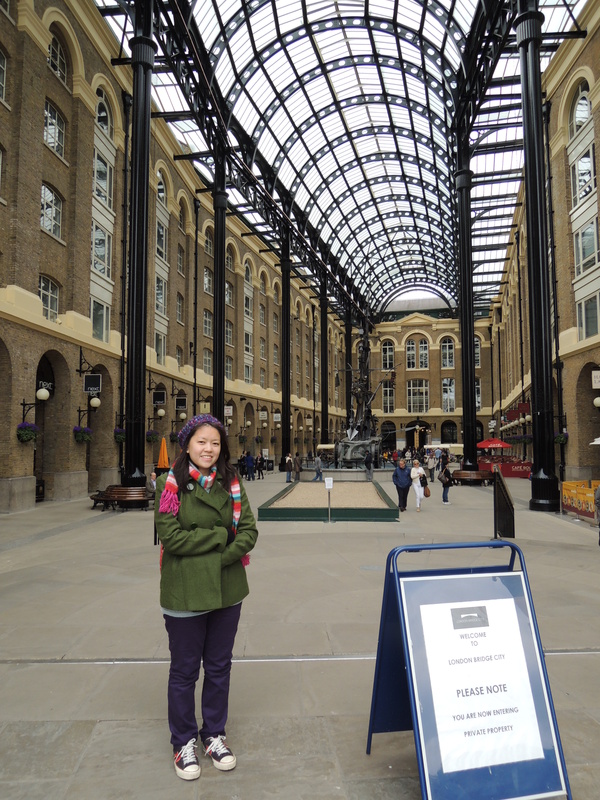 We alighted the ferry at London Bridge City, crossed Hay’s Galleria and headed for Borough Market. 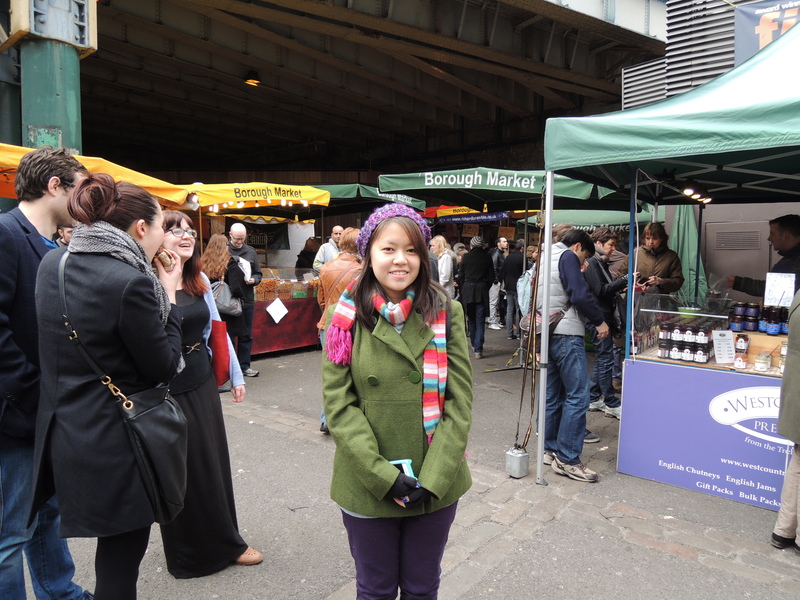 There, I saw English fruits and vegetables and they had enormous strawberries and thin carrots and white asparaguses. There were a lot of food stalls there selling all sorts of food as well, and even chanced upon a stall selling Thai food. 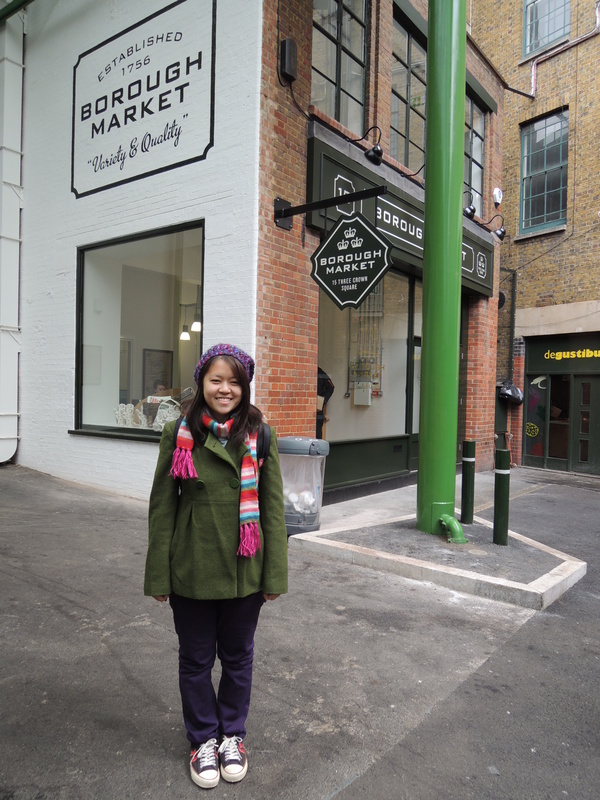 I also got to see huge English bread and big blocks of cheese. In the end, we feasted on a plate of fried scallops which were HUGE, Portugal fried rice and also the real, genuine, authentic English fish and chips which was the size of my entire left arm. After that, we took the Underground!!!! 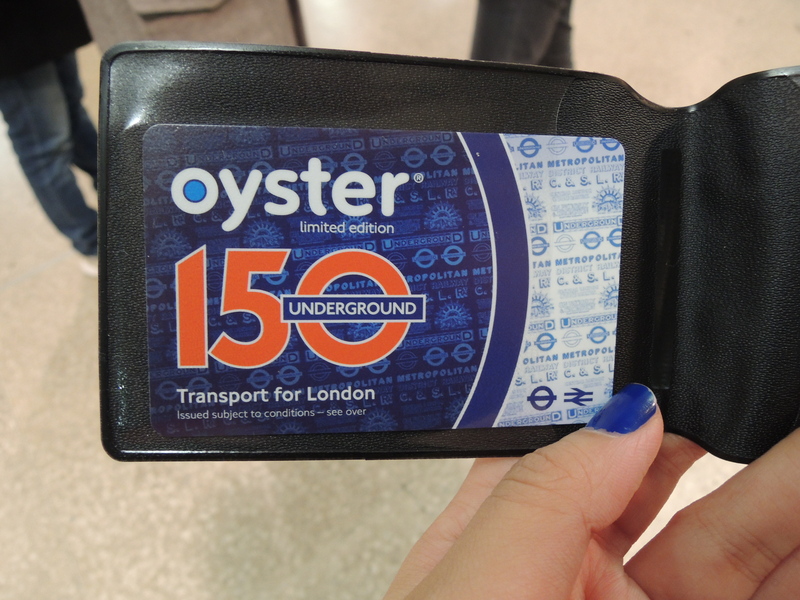 Kenzie got me an Oyster card earlier which is basically like a Touch and Go card except that you can use it for all public transport such as buses and trains. 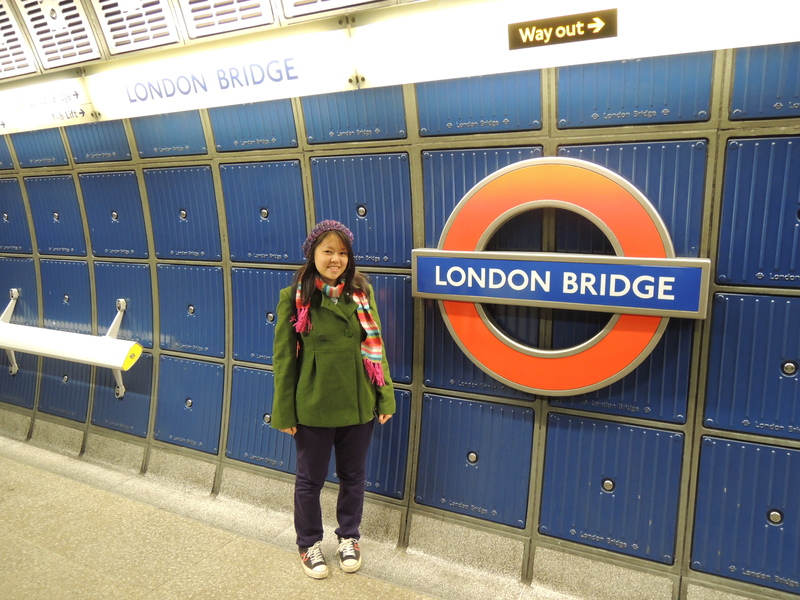 We took an underground train to Westminster, where we stopped by London Eye but didn’t go on it because there were so many people there and I don’t know which line was longer, the line to buy the tickets or the line to go on the carriages. 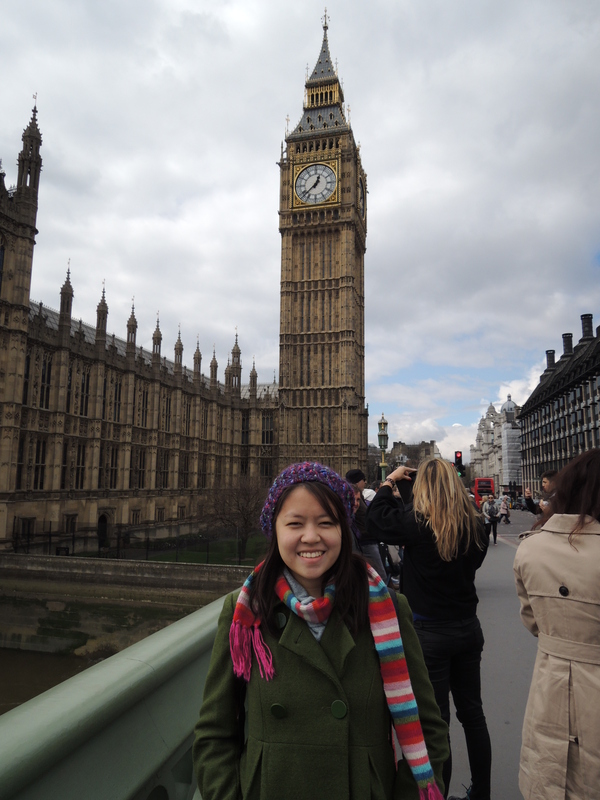 So we headed to Big Ben and Westminster Abbey after that. 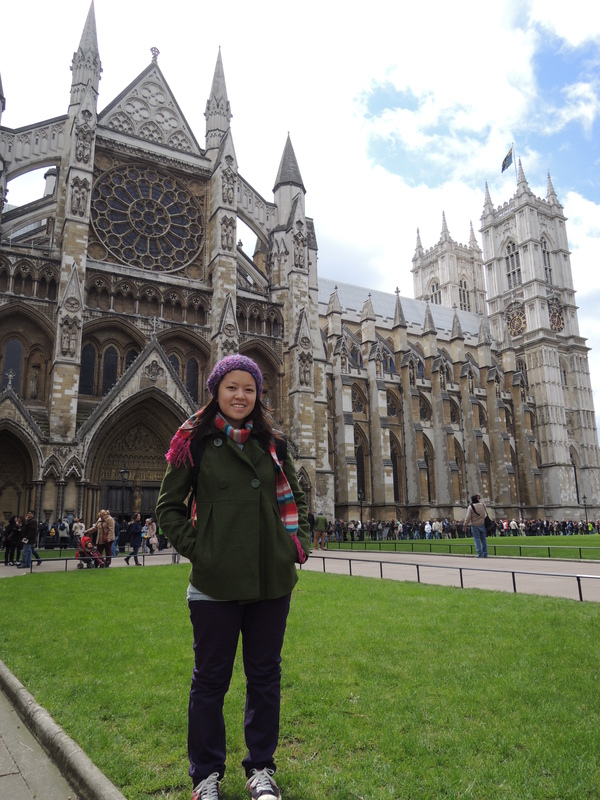 Again, the line to enter Westminster Abbey was really long so I chose to just skip that. Also, I got to hear Big Ben’s 1 o’clock bong it was like living the @big_ben_clock twitter dream. 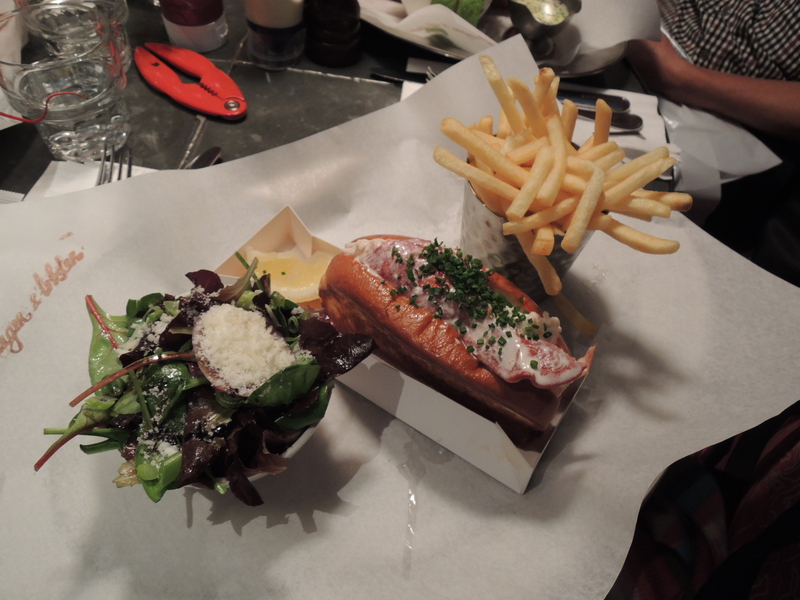 After that, we took a bus (one of those red double deckers) to Piccadilly Circus where it was quieter in some of the streets and had lunch at a restaurant called Burger and Lobster which sold precisely what it said, burgers and lobsters. I ordered a lobster roll which was £20 and REALLY HUGE but also really nice although I got quite sick after a few bites of lobster meat. Don’t get me wrong, I love seafood and also lobster but too much of something really does make you a little sick. Somewhere in Piccadilly, I also saw a shop that sold celebrity masks and was tempted to get one but didn’t want to, uh, tarnish my image of being normal. 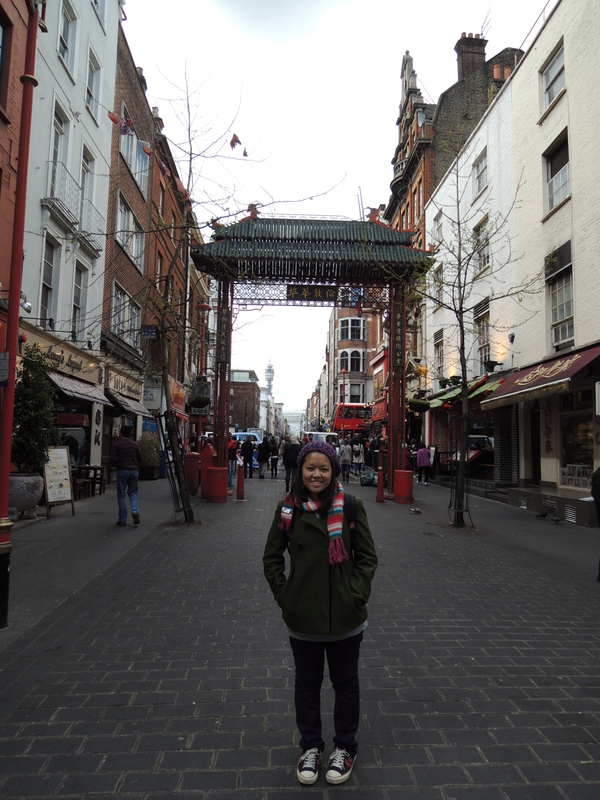 Then we went to Chinatown! Because it would be a crime if you were Chinese/Asian and NOT visit Chinatown and it was so nice and there was even a stall that sold durians £8 (appr. RM40) per kg whoa. 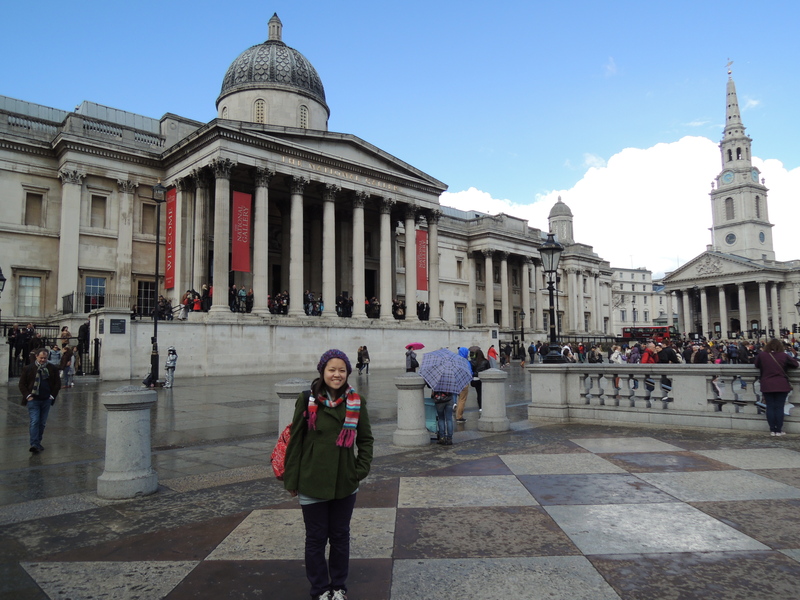 We then went on heading to Trafalgar Square but then it started raining ice so we took shelter at the National Portrait Gallery for a while. 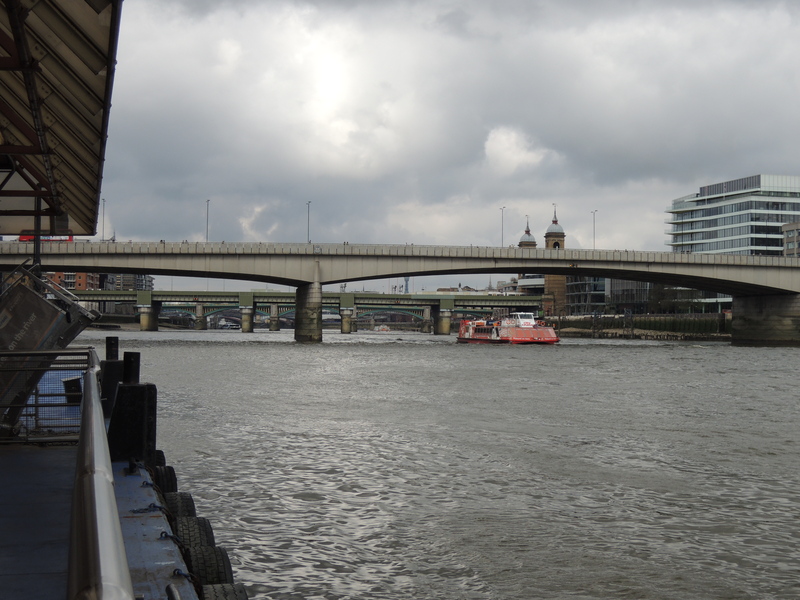 From then onwards, the London skies turned grey and gloomy and rained at intervals. 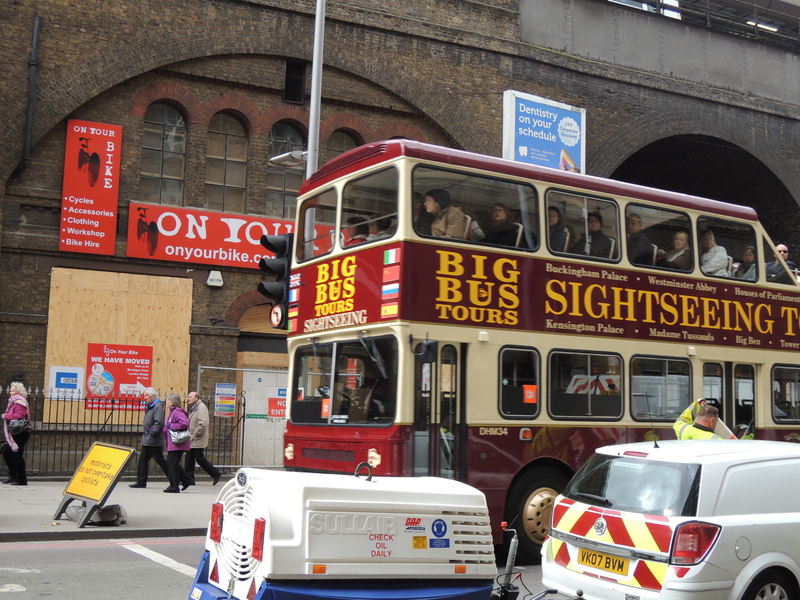 We then took a bus back to Canary Wharf where Kenzie had parked his car. 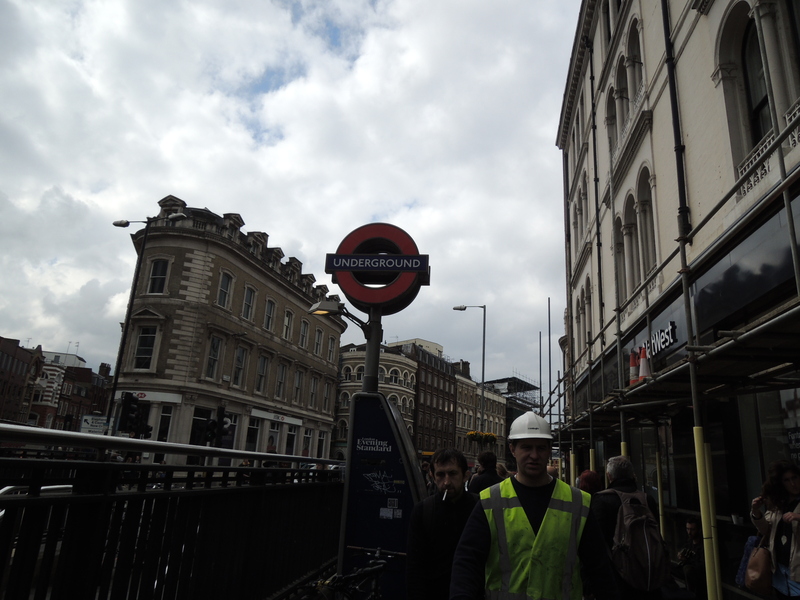 Let me just tell you how much I love the British public transport system, mainly the Underground and the buses because those are the only experiences I’ve had so far. 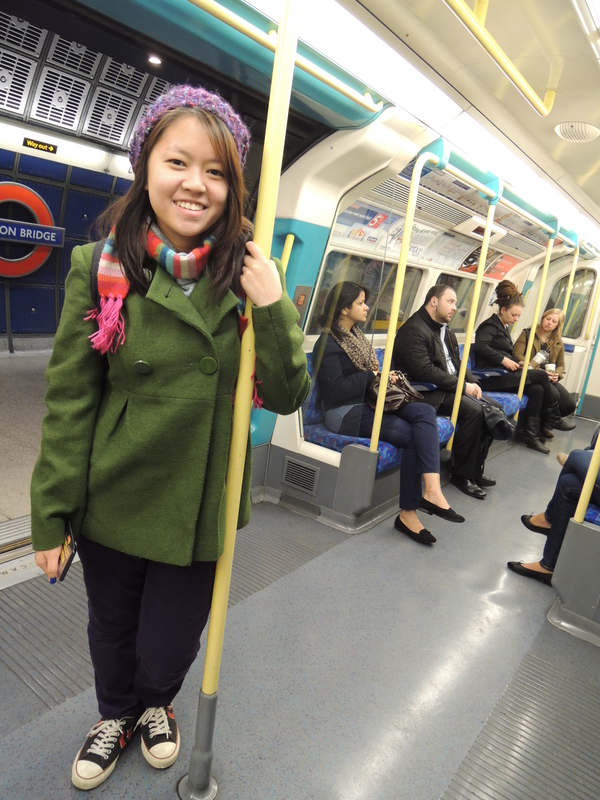 I loved the feeling of professionality and importantness that came with beeping those Oyster cards whenever taking an underground train or public bus. It was also cheap, fast, efficient and just overall so convenient that I want to bring that back home to Malaysia. English people are also generally more polite and friendlier than people back home, and London people are all really well-dressed it was like walking in Manhattan…which is probably just the American version of London. 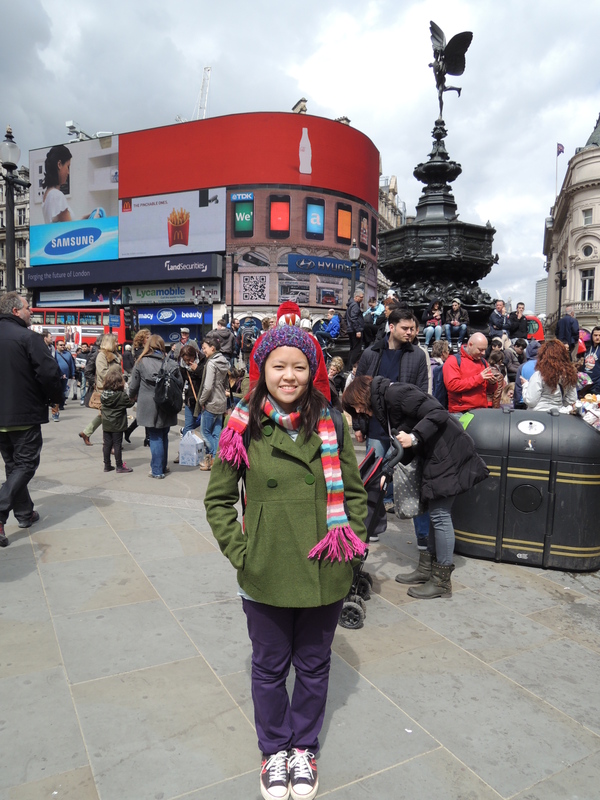 It was a busy city, just like KL, but unlike KL, I seem to love the busyness and rush of London. It was a very comforting sort of busyness, if that makes any sense at all. 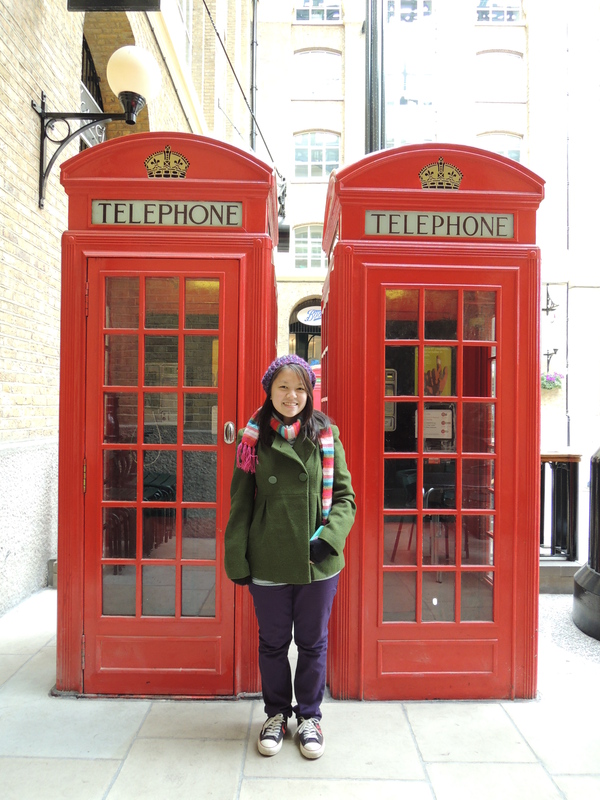 Sometimes I feel like it’s all a dream, that everything I’m seeing around me, the Englishness of it all was so surreal. All along, my entire life, the English seem so untouchable, and I think it’s mainly because I worship and obsess over the English so terribly that when I come here it’s like heaven on earth. Being in a movie. Living a dream. And it can be scary sometimes of course but I love it. 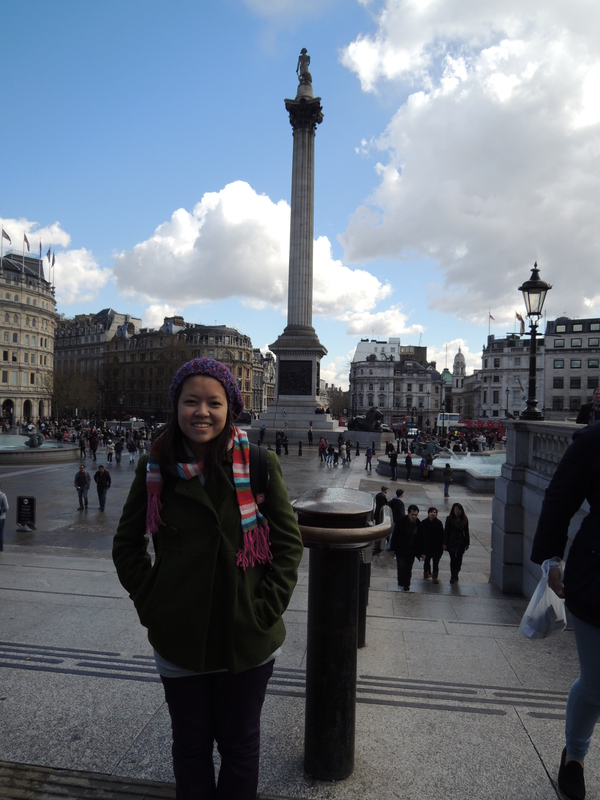 I love London (although probably not the weather) I love it. Now all I need to do is meet Dan and Phil (or camp outside the BBC Radio 1 station during their radio show) and my London trip would be more or less complete. Oh and also Madame Tussauds. Definitely Madame Tussauds. I can’t not go there since they’d already made a wax figure of my boyfriend there, right? Today I also watched my first ever Phil (which quickly turned into a Dan and Phil) liveshow live on YouNow and I was really emotional over it. Next Next post: Groeten, Amsterdam!